Just like most of you, I had no idea what requirements it took to raising a pet hedgehog. I had to do my research. I was on the internet for hours making sure I had all my facts straight. I looking through blogs, Instagram, Twitter, and Wikipedia for a while before I was content that I felt all there was to know about hedgehogs. To tell you the truth, I’m still learning every day! This post is to inform you on the basics of hedgehogs and what you need to know before adopting an exotic animal. Hedgehogs are indeed an exotic animal. There are over seventeen different species of hedgehogs. However, the most common domesticated species is the African Pygmy. It is important not to adopt a pet hedgehog until they are about 2 months old. They are generally scared animals, but it takes time to bond with your hedgehog. Make sure that you hold your hedgehog regularly and let it sleep with one of your old shirts. It is also important to know that because hedgehogs are an exotic pet, some states and cities will not allow them as pets. 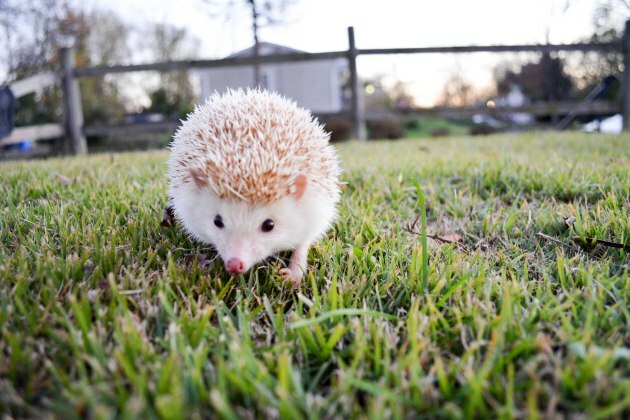 For instance, Fairfax, VA will not allow you to have a pet hedgehog- but the rest of Virginia allows it. Hedgehogs defend themselves by curling up into a ball and pointing their quills upwards. This is how they defend themselves. They will also sleep in the same position all day because they are nocturnal and then they will wake up at night time when it is time to eat. Hedgehogs should stay between 6oz to 2lbs. It is very important to keep an eye on your hedgehogs weight because being overweight is never a good thing. (My vet taught me a trick that if Lumpy can’t roll into a ball completely and hide his face, then he needs to lose some weight!) Overall, hedgehogs are very low maintenance pets and don’t always “crave” human attention, but can become very lovable once you take the time to bond with them. Hedgehogs eat the weirdest combinations of food. Due to these hedgehogs being domesticated then every website will tell you that they eat cat food. Listed below are what hedgehogs can and can’t eat. Let’s talk about warning signs. Just like other pets, hedgehogs can become sick as well. It’s important that you can tell the difference between a healthy hedgie and a sick one. There are different ways your hedgie can become ill. It could be mites, hibernation, cancer, or an infection. The more you pay attention and interact with your hedgie the quicker you learn it’s habits and then you will be able to tell when something is wrong. For instance, I knew something was wrong with Lumpy because he wasn’t eating or running on his wheel at night, he just continued to sleep. I went through the scariest experience when I found out Lumpy was trying to hibernate and he became too cold. There are clear signs when you can tell if a hedgehog is sick. Such as cold nose, not eating, behavioral change, dry and flakey skin, ruffled ears, unusual bumps, green stool. 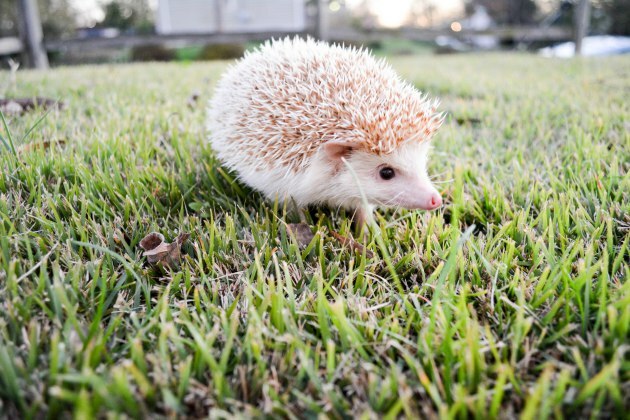 Keep an eye out for anything that looks odd or unusual in your hedgie’s behavior and daily activity. It never hurts to take him to the vet just incase! 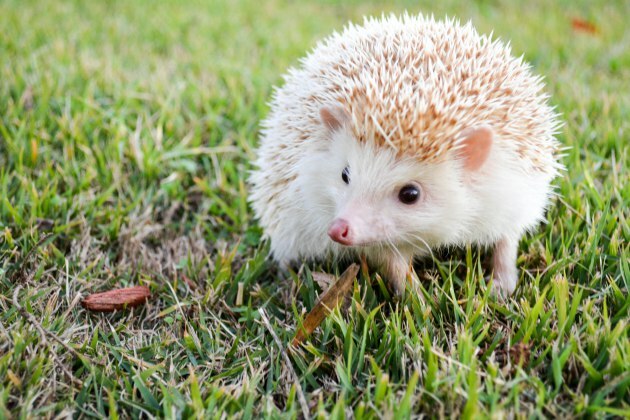 Now that you know the basics, you can decide if a hedgehog is the right pet for you. It’s always important to keep in mind that exotic animals need a little bit more tender love and care. If you can handle that, then you can handle a hedgehog. To be honest, it’s the best decision I’ve ever made.